When the ACA was signed into law in 2010, it called for dramatic changes in the individual and small group health insurance markets. A provision was built into the law to allow plans that were already in existence as of March 23, 2010 to continue to remain in force indefinitely, as long as no significant changes were made to the plan, and as long as the carrier continued to offer the plan. These plans are grandfathered and are exempt from many of the ACA's requirements. But the ACA didn't make any particular allowances for individual and small group plans that became effective after March 23, 2010, but before the bulk of the ACA's insurance regulations were to take effect in 2014. The expectation was that they would terminate at the end of 2013 and be replaced with ACA-compliant coverage at that point, or at the latest, by their renewal date in 2014. Then in the fall of 2013, as the health insurance exchanges were getting underway—with significant technical glitches—and as cancellation notices for the non-compliant plans started to show up in consumers' mailboxes, the furor over plan cancellations reached a fever-pitch. In response, HHS issued transitional relief that allowed states to permit these non-grandfathered plans to renew again until as late as October 1, 2014, with coverage allowed to remain in force until September 30, 2015. Less than four months later, in March 2014, HHS issued an extension of the transitional relief, giving states the option to allow these plans (dubbed "transitional" or "grandmothered" plans) to renew as late as October 1, 2016, with coverage that could then be allowed to remain in force as late as September 30, 2017. On February 29, 2016, CMS issued an additional extension that allowed grandmothered plans to remain in force as late as December 31, 2017. Another extension was issued in early 2017, allowing grandmothered plans to remain in force until the end of 2018. But that was replaced by yet another extension, issued in April 2018, which allows grandmothered plans to remain in force until the end of 2019. 1. Grandmothered plans are not the same thing as grandfathered plans. They have different requirements in terms of complying with various aspects of the ACA, and they aren't allowed to remain in force indefinitely. Grandmothered plans have an expiration date, unlike grandfathered plans, which could—in theory—remain in force forever if the carriers opted to go that route (which is unlikely). 2. Some states opted not to allow grandmothered plans at all, others terminated them prior to 2019. Even in states that did allow grandmothered plans to continue to renew, some carriers terminated the plans anyway, and replaced them with ACA-compliant coverage. The transitional relief provision was issued late in the year in 2013, when some states and carriers were so far along the path of ACA-implementation that they determined it would not be in the best interest of insureds to reverse course at that point. In 15 states and DC, there were no grandmothered plans in existence by 2016. And although the rest of the states have allowed grandmothered plans to continue, there are at least four of those states where there are no longer any grandmothered plans in existence. And because people can no longer purchase grandmothered plans, enrollment in these plans has been steadily declining over the years. 3. Grandmothered plans cover preventive care with no cost-sharing, but are not required to cover the rest of the ACA's essential health benefits. The ACA began requiring all health plans to cover preventive care with no cost-sharing (ie, free at the time the service is provided) for all plans years beginning on or after September 23, 2010. This applied to new and renewing plans, although it did not apply to grandfathered plans. So grandmothered plans that were effective after March 23, 2010 but before September 23, 2010, had to begin covering preventive care with no cost-sharing as of their first renewal date. And all grandmothered plans effective on or after September 23, 2010 included preventive care with no cost-sharing from the get-go. 4. Grandmothered plans can no longer be sold. Grandmothered plans are those that went into effect after March 23, 2010, but no later than October 1, 2013, or in some cases, December 31, 2013. After that point, it was no longer possible to buy a plan and have it be considered grandmothered. Once January 2014 rolled around, no small group or individual major medical plans could be sold at all (including outside the exchange) if they weren't fully-compliant with the ACA. Note that dependents can still be added to a grandmothered plan (if you're on a grandmothered plan and you have a baby, you can add the baby to the plan), and newly-eligible employees can gain coverage under their employer's existing grandmothered plan. But new grandmothered plans haven't been available for purchase since late 2013. 5. Grandmothered plans aren't eligible for subsidies or small business health insurance tax credits. They aren't sold in the exchange, which means they don't qualify for premium subsidies. If you have a grandmothered individual plan, you're paying the full premium yourself. 6. If your grandmothered plan excluded your pre-existing conditions, that provision still applies. In all but five states, individual health insurance was medically-underwritten prior to 2014. And in many states, small group coverage could be issued with higher premiums based on the group's medical history. Although that's no longer the case for new plans, the terms of your grandmothered plan are unchanged—if it excluded your pre-existing condition or charged you a higher premium because of your medical history, that still applies today. 7. When your grandmothered plan ends (or renews), you'll have access to a special enrollment period. Even if your health plan terminates outside of open enrollment, you'll still be able to enroll in a new plan at that point, with no gap in coverage. Under the guidance issued by CMS in 2018, grandmothered plans are permitted to renew as late as October 1, 2019, but the coverage must terminate no later than December 31, 2019. If your health plan follows this schedule and allows your plan to continue to exist until December 31, 2019, you'll be able to enroll during the open enrollment period for 2020 coverage (in most states, that's November 1, 2019 to December 15, 2019), and have seamless coverage under an ACA-compliant plan that takes effect January 1, 2020. But if your plan still has a non-calendar-year schedule (eg, it runs from June to May, for example, and renews on June 1 each year), your insurer might opt to terminate the plan at the renewal date, instead of renewing it for a partial year and allowing it to remain in force for the rest of 2019. In that case, you'll have access to a special enrollment period during which you can pick a new plan, triggered by loss of coverage, which is a qualifying event. In addition, you also have a special enrollment period during which you can pick a new, ACA-compliant plan, if your non-calendar-year grandmothered (or grandfathered) plan renews mid-year, even if the plan doesn't terminate at that point. If you still have a grandmothered plan, it's currently scheduled to terminate no later than the end of 2019. But the federal government has issued extensions for grandmothered plans each year, and it certainly wouldn't be unexpected for them to issue another one, allowing grandmothered plans to continue into 2020. But even if that happens, your insurer might decide to terminate grandmothered plans anyway. As the number of people enrolled in these plans dwindles, administrative costs on a per-person basis get higher. And although people on these plans went through medical underwriting back when they first signed up, it has now been more than five years since anyone enrolled in those plans, so the medical underwriting is "wearing off"—people aren't necessarily as healthy as they were five years ago, and claims costs might be increasing. And even if your grandmothered plan ends up being eligible for another renewal, keep in mind that it might not be in your best interest to renew it. Double check the new plan options that are available to you as replacements. They're more comprehensive, and although they do tend to have higher premiums, there are premium subsidies available in the health insurance exchange that will offset some of that cost. And premium subsidy eligibility extends well into the middle class—they're available to a family of four with a household income of up to $100,000. 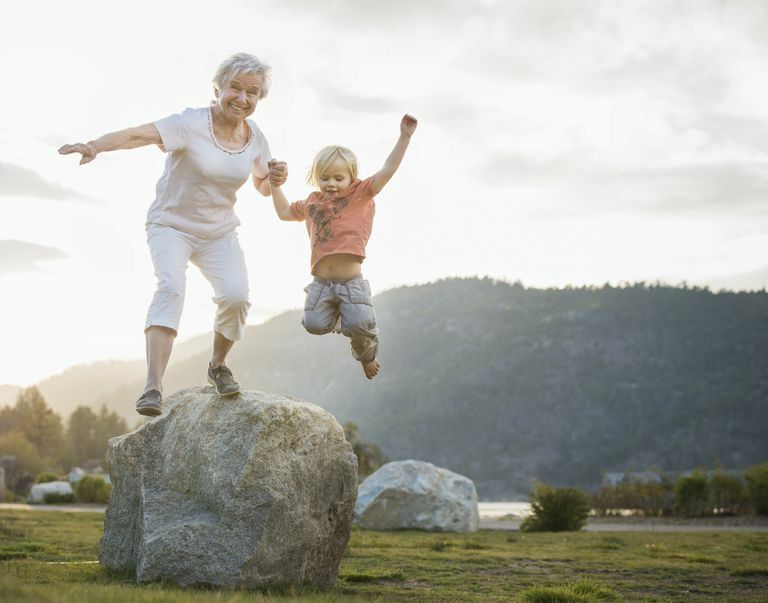 So before you opt to keep your grandmothered plan (assuming that ends up being an option), be sure you've done your homework and compared all of the available options. Centers for Medicare and Medicaid Services, Department of Health and Human Services. ​Letter to Insurance Commissioners—Transitional Plan Relief. November 16, 2013. Centers for Medicare and Medicaid Services, Department of Health and Human Services. Insurance Standards Bulletin Series—INFORMATION—Extension of Transitional Policies Through Calendar Year 2019. April 9, 2018. Cornell Law School, Legal Information Institute. 45 CFR 155.420 (d)(1)(ii). My Health Plan Is Being Cancelled! What Do I Need To Do? What Exactly Is Obamacare, Anyway?